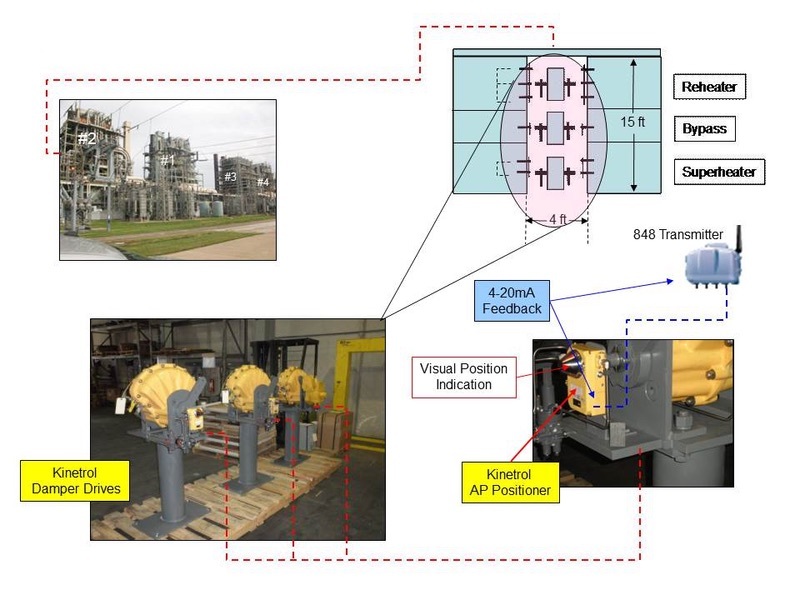 A Kinetrol USA Southwest Distributor designed three, dual-arm damper drives, using Kinetrol 18 actuators to replace aging Bailey damper drives. These are used to control the desuperheater and reheater temperature on the gas fired plant. The damper drives are critical for plant operation, and the plant is concerned about reliability of the older Bailey drives. While not yet installed, they wanted the confidence of knowing that new Kinetrol damper drives are immediately ready for drop-in replacement when the Bailey units fail.